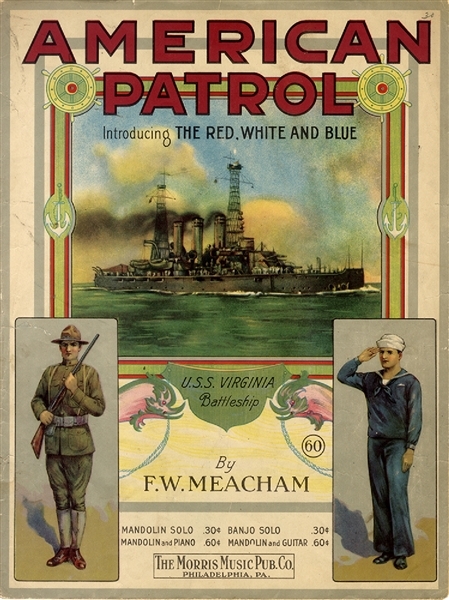 World War I sheet music “American Patrol” by F.W. Meacham, with lithograph image of the U.S.S. Virginia Battleship, 1902, 8pp. folio. Fine condition.